In October of last year, when Intel officially unveiled its 9th Generation Core series processors, the company also took the opportunity to announce a semi-new breed of workstation processor, namely the Xeon W-3175X. Technically speaking, the architecture at the heart of the Xeon W-3175X isn't new - the monstrous 28-core / 56-thread processor is based on Skylake-SP, just like the first wave of Xeon Scalable processors that were released in 2017. What Intel has done with the Xeon W-3175X, however, is selectivity bin the die and tweak and tune the power and turbo boost profiles to increase frequencies, and ultimately performance, versus earlier Skylake-SP parts. The Xeon W-3175X is also unlocked to allow for easier overclocking, like more mainstream K skus. 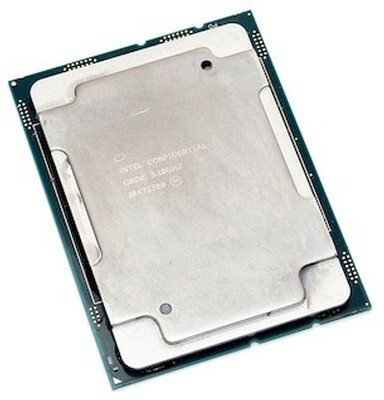 Intel Xeon W-3175X CPU kaufen.